In Skitlandia, my "cousin" Conan was doused with gamma rays which cause him to occasionally turn into a Hulk-like mutate, especially when he's mad. TV ON TV - "DANGER DOCTOR" VS. "DR. 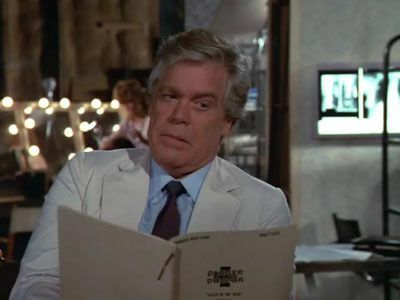 DANGER"
In the mid-1980s, actor Gary Patterson revived his flagging career by starring in the action/adventure mystery series 'Doctor Danger'. The show co-starred Brenda Blake and was produced by Sid Sharkey and Avery Stone (who also served as the script supervisor). 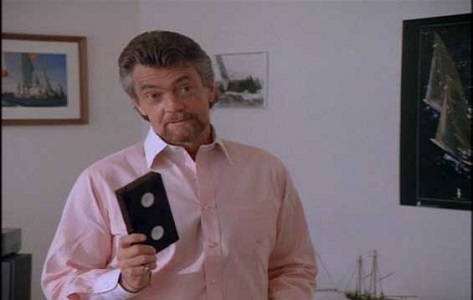 In 1987, the production of the show was rocked by scandal and murder when the show plagiarized one of the mystery novels written by Jessica Fletcher, which led to the death of Sid Sharkey by a bomb. The police were able to solve the murder, thanks to the help of Ms. Fletcher and Sharkey's loyal secretary, Frieda Schmidt. And the notoriety from the case gave 'Danger Doctor' added life, extending its production by about two years. Ten years later, producer Jackson Burley decided to revive the concept as 'Dr. Danger'. But to save on royalty fees to the creator of the previous show, Burley claimed that his show was based on the career of Dr. Mark Sloan at Community General Hospital in Los Angeles. Dr. Sloan often worked in collaboration with his son, Detective Steve Sloan, on cases that usually turned into murder investigations. 'Dr. 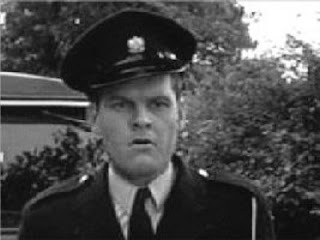 Danger' starred Derek Shaw in the lead role but he was murdered before the show could hit its stride. Eventually, Burley would not only produce the show but also play the lead role himself. 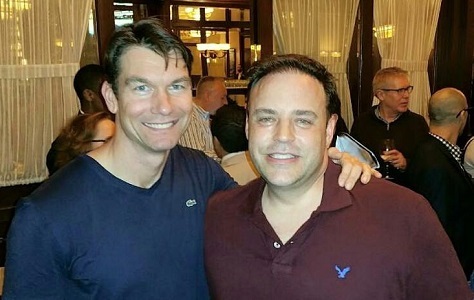 I've previously mentioned the televersion of my friend Mark Thompson, as seen in the main Toobworld. I don't know what differences there may be in the lives of Mark and Mike's televersions. But taking some inspiration from their lives - Mark would be this rogue physicist whose non-sanctioned experiments nearly cracked open the Wall between Worlds. And now he wanders the country, "making right what once went wrong" and helping strangers whose lives he affected in small meaningful ways. As a rogue physicist, Mark gained a reputation in dealing with transversing dimensional vortices and this brought him to the attention of the "Slider" hybrid Quinn/Mallory. Quinn Mallory, who was originally born on the Kromagg Earth but raised on Earth Prime-Time (known in the main Toobworld as Earth Prime*), was fused with his double from an alternate Earth who was known as Mallory. Quinn's fellow Sliders tried to get the experiment reversed, but too much time had passed and the conjoined minds would remain as this new being. Mallory proved to have the stronger personality and soon he so dominated their shared psyche that it was feared Quinn would be forever lost. However, there were signs that Quinn was still "in there" and he took control long enough to contact Mark Thompson for his help. "Is there anybody in there? Were they successful in separating Quinn from Mallory? You'll have to track down that episode and see for yourself. Muwhahahaha! So why did I choose today to add to the list of credits for Mark Thompson's televersion? Because today is his birthday! I'm a Settlers Of Catan man myself. Are you a Settlers of Catan man? More of a Risk player, I take it. "THE BOTTOM LINE IS MURDER"
Back in 1987, Jessica Fletcher was conducting her own investigation into a murder at TV station KBLR in order to help clear the name of her niece's husband. 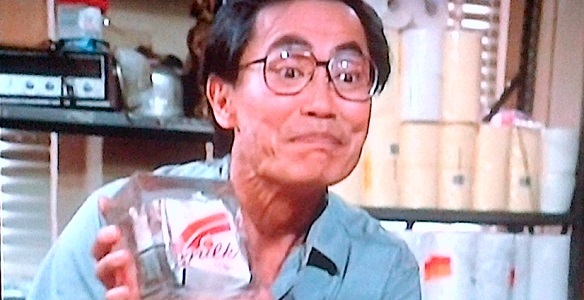 She met the station's janitor, Burt Tanaka, who had been working there for 35 years and had his own little museum of celebrity trash in his office. He showed Jessica three of the items in the collection. First up was a bronzed apple core from David Eisenhower, which showed that he must have had a chipped tooth. Eisenhower didn't play himself in any TV series, but has appeared in a Bob Hope special and on several news/talk shows as himself. Over in Skitlandia and a TV movie dimension, he was portrayed by other actors. But the other two items were better fits for making connections to other TV shows and could guarantee Burt Tanaka an honorary position in the Television Crossover Hall of Fame as the curator of such exhibits. Sure, that last one isn't necessarily supposed to be Frank, but he's in that league with Sammy Davis Jr., Bob Hope, George Burns, and Milton Berle where they are more convincing as themselves rather than as fictional characters. So why couldn't Frank Sinatra have been that neighbor? As you must have heard by now, Sir Christopher Lee passed away on June 7. He was 93 years old. Sound. Not in the specific episode which featured Robert Redford - let's face it, there's no way Gladys Cooper would have opened the door to let Death in if he looked like Christopher Lee. Another role which would have been perfect for him was the Devil. 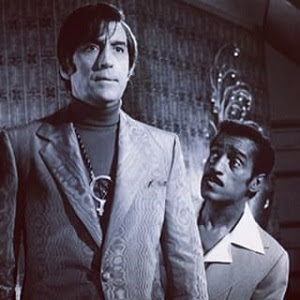 Sir Christopher would later play Lucifer in a pilot movie starring Sammy Davis, Jr., "Poor Devil". In 'The Twilight Zone', the Devil made several appearances and although he was portrayed by a wide variety of actors, it is accepted that each of them was Lucifer in another guise. One of the other fans at the T-Zone page on Facebook suggested that Lee could have been the Howling Man and I think that is the best option. I would just want a better make-up job for his transformation. Sir Christopher made an appearance on 'Space: 1999'.... How is it possible he never showed up at some point in the 'Star Trek' franchise? Seeing Lee perform opposite Patrick Stewart would have been incredible. (The world within the 'Babylon 5' space station would have suited him nicely as well. Perhaps as a techno-mage or soul hunter?) 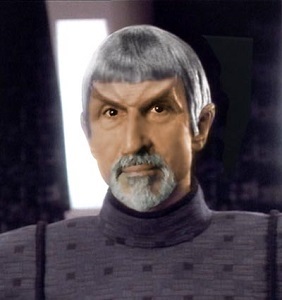 I could see Christopher Lee as a Vulcan high priest or even better as another facet of the Q Continuum taking human form. Yeah, nothing less powerful would have been good enough. Why didn't they make it so, Number One? 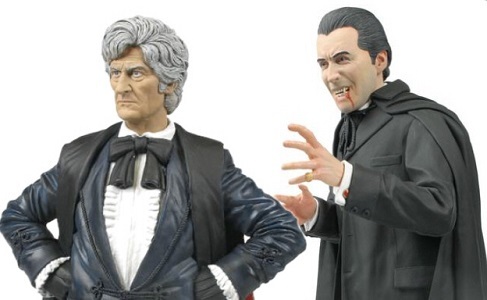 If one wanted to follow cliche, seeing Christopher Lee in his own opera cape facing off against the Third Incarnation of the Doctor would have made for a cracking serial at the time. And when the show rebooted in 2005, Ol' Rusty surely could have come up with a storyline fitting for his talent, against either Christopher Eccleston or David Tennant in the role of the Doctor. After almost 20 years of playing Dracula, Lee eventually tired of the role. He moved to the United States where he enjoyed a lucrative career in both films and made-for-television mini-series such as The Far Pavilions and Shaka Zulu. 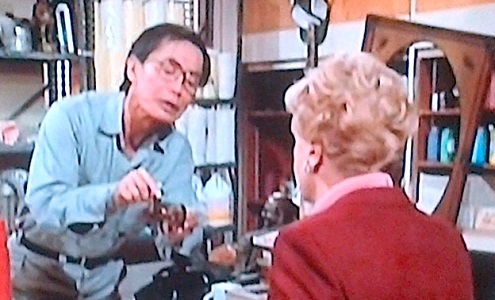 While in America, Lee resisted all offers of parts in soap operas including Dallas and Dynasty. 'Columbo' was also known for stocking its episodes with guest stars - "The Most Crucial Game" was overloaded with them! 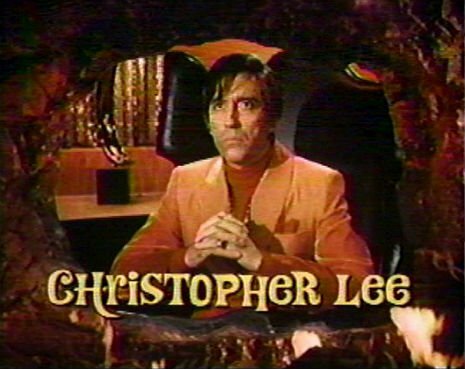 But as the murderer in the episode, Christopher Lee would have been the focus of attention. And the haughty demeanor he exuded would make him a perfect foil for Peter Falk as the rumpled homicide detective. The height difference would have accented the dichotomy in their cat-and-mouse game. As to which 'Columbo' murderer he could have played, I'd prefer an all new story for him during the classic years; that would have been best. But if he had to be swapped in for a previously cast actor, I would not mind seeing one of the roles played by the actors who were called upon again and again to be the murderer - Cassidy, Culp, McGoohan - be given to Sir Christopher instead. Maybe I surrender too easily to cliche, but in the classic NBC run, I could see him as the Great Santini, the magician/Nazi played by Jack Cassidy in "Now You See Him". 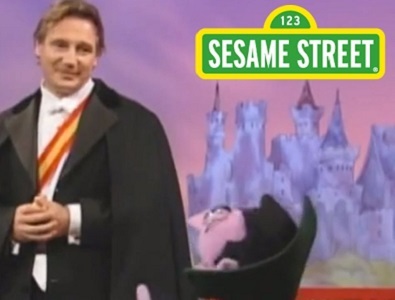 In the ABC return for the series, perhaps Lee might have assayed the role of Erik Prince, undertaker to the stars. I'd believe him capable of lifting Rue McLanahan's corpse more than Patrick McGoohan. "This is getting to be like a bad horror movie. All we're missing is Vincent Price and the thunder and the lightning." How about Christopher Lee instead? 1) By the time of the series, Lee was an established star of the Hammer films, having played Frankenstein's Creature and Count Dracula. He could have appeared in an episode as himself, making a guest appearance in a special Halloween edition of 'The Alan Brady Show'. 2) Falling back on yet another cliche, Lee could have played a mysterious stranger who at first appears menacing to the Petries. In the end, it would prove to have been a big misunderstanding. 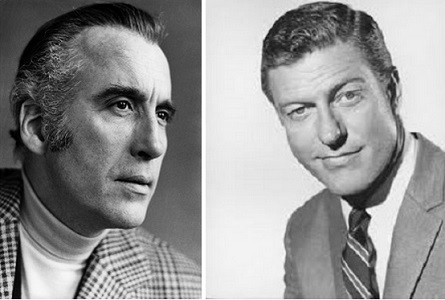 What I wouldn't give to have seen Christopher Lee going toe to toe with Morey Amsterdam as Buddy Sorrell! This should have been Christopher Lee, not Liam Neeson. 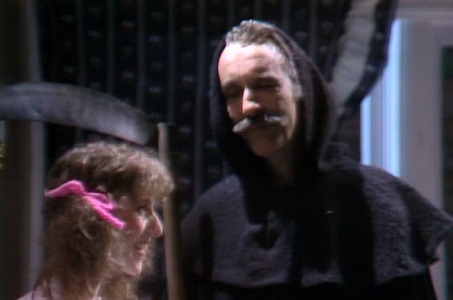 I can't believe the Children's Television Workshop never got Christopher Lee to appear opposite the Count! It would have been supernaturally natural! 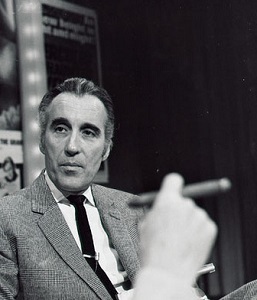 Sir Christopher Lee, the actor, who has died aged 93, defined the macabre for a generation of horror film enthusiasts with his chilling portrayals of Count Dracula; in a career that spanned more than half a century Lee played the sinister vampire no fewer than nine times in productions including Dracula (1958), Dracula: Prince of Darkness (1966) and The Satanic Rites of Dracula (1973). 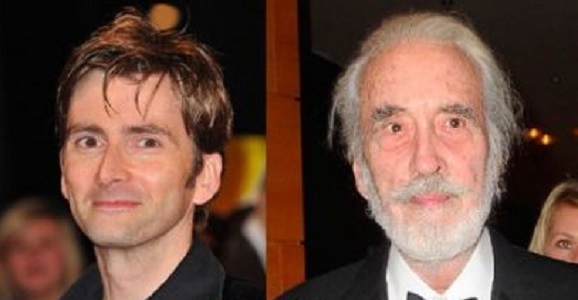 Rightfully so, Sir Christopher is best known for his movie roles - from Dracula and Fu Manchu, both Sherlock and Mycroft Holmes, to Scaramanga, Rochefort, Saruman, and Count Dooku. But he made his mark in television as well, with over sixty roles ranging from 'The Avengers' to 'Charlie's Angels' and my personal favorite, hosting an installment of 'Saturday Night LIve'. A sleeper ship of alien pacifists crash-landed near Moonbase Alpha and one of the lunar colony's commissioners plotted to take one of their suspended animation chambers for himself when they relaunched for Earth. 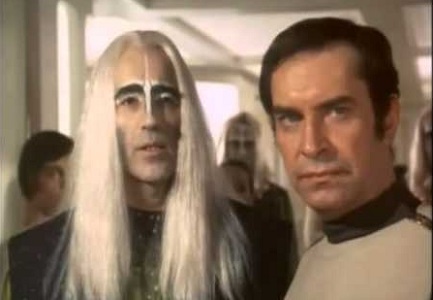 The captain of that space-faring vessel was Zandor, played by Christopher Lee. I have established in the past that everything that occurred in 'Space: 1999' after the explosions at the nuclear fuel dumps on the far side of the Moon never actually happened. If the Moon had been thrust out of its orbit by those explosions in 1999, it never would have been seen again in other TV shows. And Toobworld itself would have been devestated by seismic disruptions. So, my splainin? Commander Koenig was thrown into a coma in which he dreamed the events and characters who would appear in the episodes to follow. So the Psychon metamorph Maya, Raan of Zenno, and the huge spacecraft Delmer Plebus Powells Gwent and its Companion Gwent, all were products of Koenig's sub-conscious. And that included Captain Zandor. That's fine as far as it goes, but where did Koenig's imagination come up with the image of Zandor? I think the alien was based on Christopher Lee himself. Scene from the movie is playing on a television as the female victim is attacked by the killer. A double-bill poster is seen. "DRACULA HAS RISEN FROM THE GRAVE"
"TASTE THE BLOOD OF DRACULA"
Mac: "'Taste The Blood Of Dracula' has universal appeal." It's pozz'ble, just pozz'ble, that John Koenig was a fan of Christopher Lee's work in the cinema. 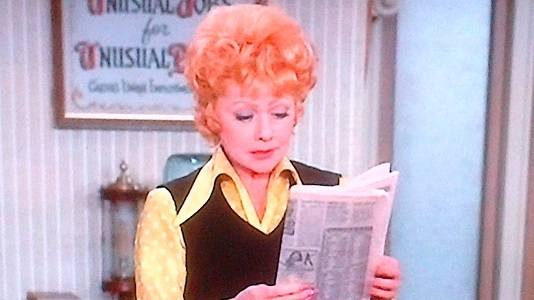 I had such a good time celebrating my birthday (a milestone one at that) over a three-day weekend that I totally forgot to announce the Birthday Honors List for a new member in the Television Crossover Hall of Fame. That's it. We never learned his name in any of his appearances, and it's just as well since that would have been a Zonk we would have had to find some sort of splainin. This way we can say each of his four appearances were the same police officer. Here is the link to the original story. "A Pin to See the Peepshow"
And with that, I'd like to welcome the Constable to the Hall of Fame. (CBS News) -- A transcript from the May 31, 2015 edition of Face the Nation. Guests included Jeb Bush, CIA Director John Brennan, Peggy Noonan, John Dickerson, David Ignatius and Dan Balz. Today marks my official debut, as it were, as moderator of FACE THE NATION. Our aim is going to be very simple here, to find interesting people from all segments of American life who have something to say and give them a chance to say it. That was me, 24 years ago. And today is my last broadcast on FACE THE NATION.